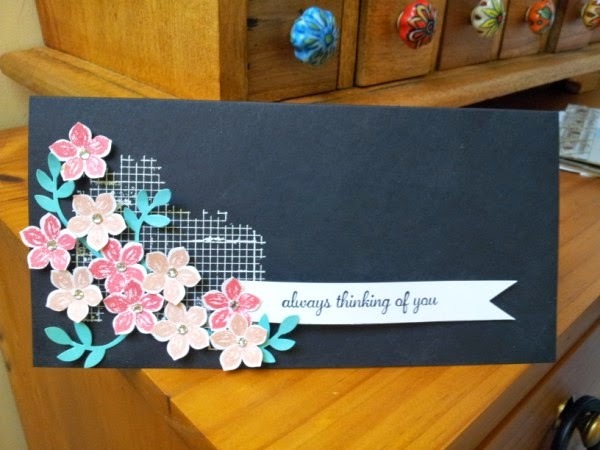 Julia's Cards: Always Thinking of You! The other Saturday I had a card making afternoon with some friends which is ALWAYS a great way to spend the day! 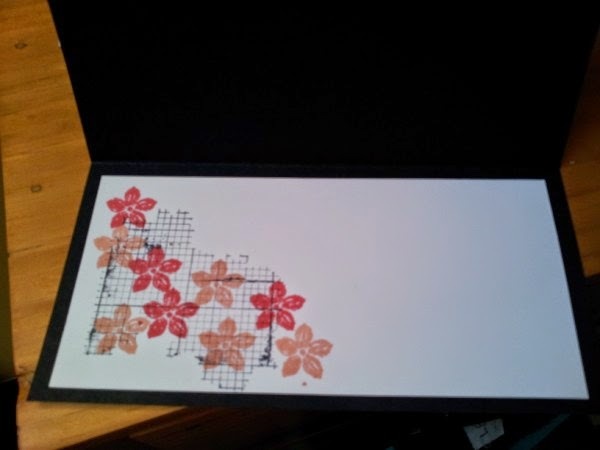 One of the girls was making a cool card with coloured flowers on a black background and I really loved the look of it. 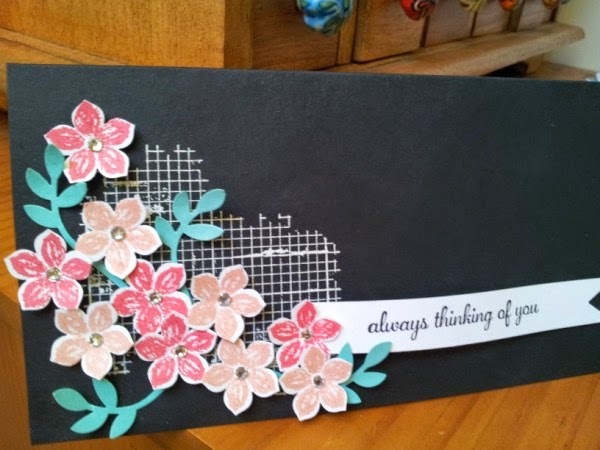 I've kept to the same idea although the stamps, colours, layout etc is different - but thanks Dionne for the cool idea! !